The past few days I have been searching for something, something to create, something that will soothe my spirit, calm my mind. 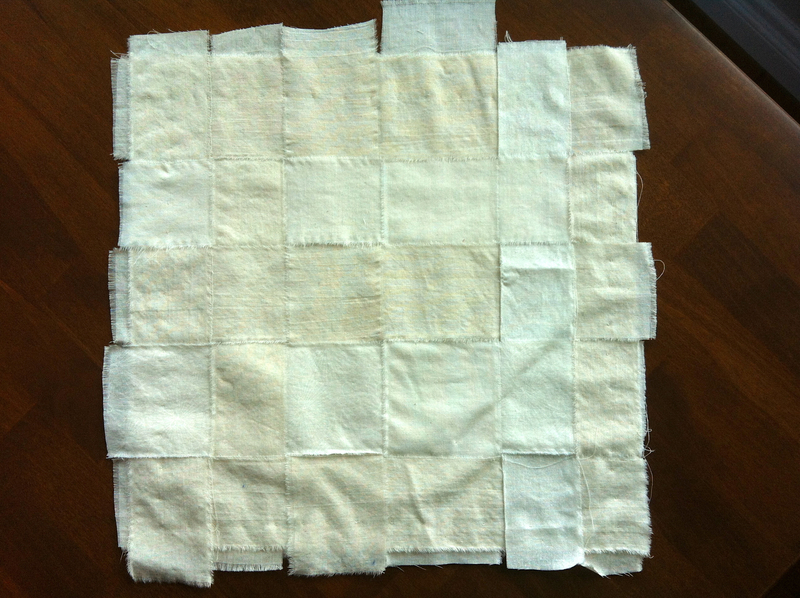 This is a cloth-weaving in muslin layered on top of another piece of muslin. I hand stitched all of the weaved pieces to secure them to each other and the backing. Then I sat and stared at it wondering what I should do next. The blank-ness of it intimidated me, the same way a blank page in my art journal does. I knew I wanted to add scraps of fabric, but then I froze at what colors to choose. I spent a few hours going through my fabric stash, reminiscing on why I bought certain pieces and how those projects never were started. Ugh! I put the folds of cloth away and instead focused on a drawer that had remnants from other projects that I had completed. This is the first patch. 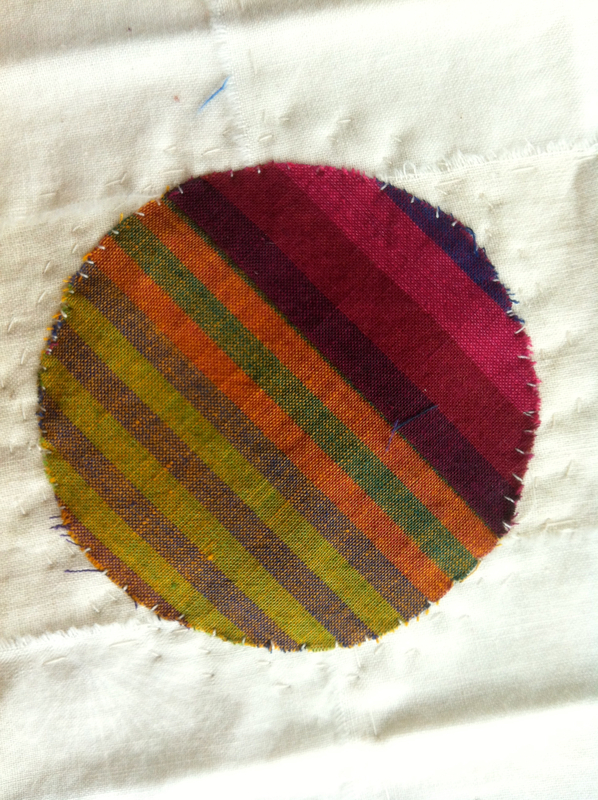 It was a pieced square that I cut into a circle and tacked down with stitches. I thought about matching threads, stitching a true appliqué stitch where the stitches don’t show and then I realized that I am once again over thinking. I have to remember that it is the process of doing, not the project itself that is enjoyable and mind-altering. It is the movement of the needle and thread through the fabric that gives meaning to a piece. So many times you just have to start and see where the journey takes you. (to be continued). This is lovely. I love to see the hand stitching. Yes, and don’t be afraid to change it with overlays of other fabrics. An exciting project.